Love is indeed all around. We must appreciate it, love it, take it in, and then share it. Often, I take it for granted, especially from my husband of almost fifty years, but there are moments when I see that look of kindness in his eye that is more precious than gold. Yesterday at church I received a homemade Valentine from a young boy with cerebral palsy. I remember when he was prematurely born. He knows love and knows how precious every moment is. I hold his sweet words of kindness next to my heart. Recently we attended a concert of two fiddlers. Not violists but fiddlers. The young man was blind. He had been playing with the young women for several years and they had traveled aboard playing concerts together, especially in Spain. Just before the last piece, he got down on his knees, pulled a ring from his pocket and told her how he did not want to continue his life without her, and asked her to marry him. She cried and kissed him and the congregation gave them a long, standing ovation. 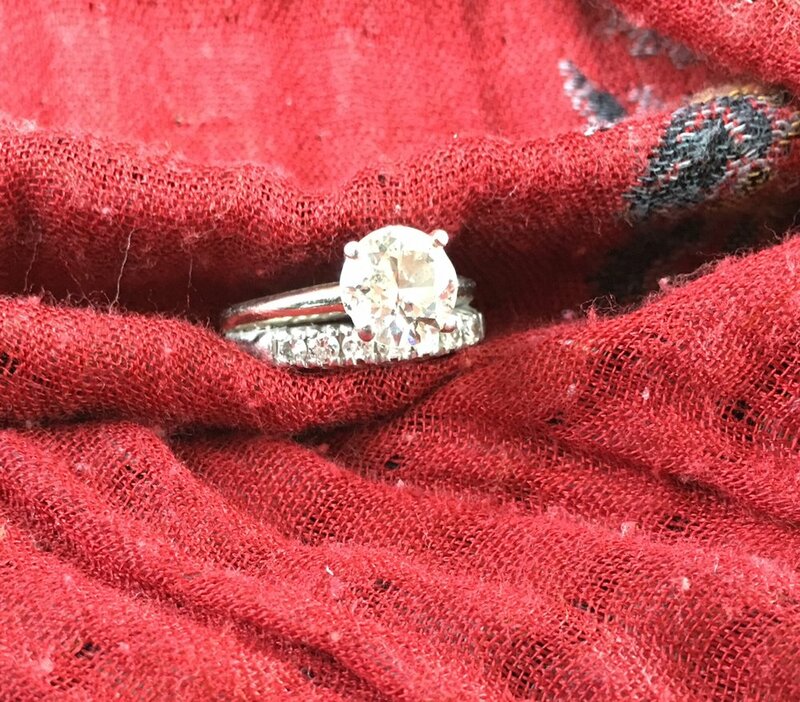 Only recently my husband found his mother’s wedding and engagement rings that had been lost for over fifteen years. He reenacted the fiddler’s show of love outside one of our favorite restaurants with two of our grandchildren present. He says he needed them there to help get him back up off his knees! Anthony De Mello recommends keeping a book of good memories we can return to whenever the presence of love is more difficult to see. I treasure moments such as these and hold them in my book of memories of times of pure joy and love. This has been so helpful to me, and I share these memories with you.